India wants to boost its nuclear power-generation by more than ten times over the next two decades to cut dependence on imported fossil fuels, but there’s one problem: global companies don’t want to sell India the equipment it needs to run nuclear power-plants under existing rules. Foreign equipment-makers are worried about an Indian law, passed in 2010, which would make them liable to pay compensation in the event of an accident, says Dipankar Bandyopadhyay, a Mumbai-based partner at Indian law firm Verus, and one of the few lawyers in the country who specialize in India’s nuclear liability law. Mr. Bandyopadhyay says that in most other countries, if there is a nuclear accident, the damages are borne only by the company which runs the nuclear plant, not companies which supplied equipment to the plant. Still, given the large size of India’s market for nuclear power, some equipment-makers are negotiating with the government to find ways to do business in India, he says. The Wall Street Journal: Why are foreign nuclear power equipment-suppliers wary of India’s nuclear law? Dipankar Bandyopadhyay: India’s nuclear liability law was created to deal with the specific question of compensation for victims of a nuclear accident. Under both international and Indian law, the operator of a nuclear installation is liable for a nuclear accident in that facility, regardless of whether the operator is at fault or not. In other words, victims do not need to prove that the operator was negligent in running the facility. 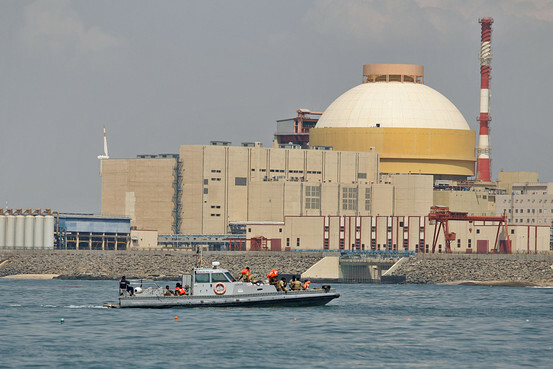 In addition, in India the law empowers the operator to claim compensation from the supplier of nuclear equipment, if the accident happens due to defective equipment or sub-standard service. Indian rules require that every contract between the supplier and the operator must have a provision for compensation to the operator from the supplier. The plant operator can’t claim more compensation from the equipment-maker than the cost of the equipment. Also, equipment-makers would be liable for no more than five to six years after the sale of equipment. WSJ: Are companies trying to work around the existing law to sell equipment to India? Mr. Bandyopadhyay: International suppliers ‎are eager to take advantage of the opportunity India presents and that is why they are actively talking to the Indian government to seek a waiver on the compensation they would have to provide. Alternatively, they have asked for the compensation to be limited and subject to an applicable timeline of, say, five to six years and not for the entire lifespan of the facility. The government has a firm position on this matter, but it also wants to end the impasse and get business going in light of its ambitious nuclear power program. One recent example of progress is the signing of a preliminary agreement between Westinghouse Electric Company and the Nuclear Power Corporation of India. (Under this, Westinghouse will explore the possibility of selling equipment to Nuclear Power Corp for its proposed plant in Gujarat). The preliminary pact will keep the momentum going towards the signing of a future supply contract. WSJ: What protection does India’s nuclear law provide to the man on the street? Mr. Bandyopadhyay: In the case of a nuclear accident, a victim or his heir will receive compensation for loss of life, personal injury, loss of property, and any other associated economic losses. As I said before, he will not need to prove negligence. He will get compensation from the operator. Follow India Real Time on Twitter @WSJIndia and Saurabh Chaturvedi @journosaurabh.